registration open for 2018/19, their 2nd season. 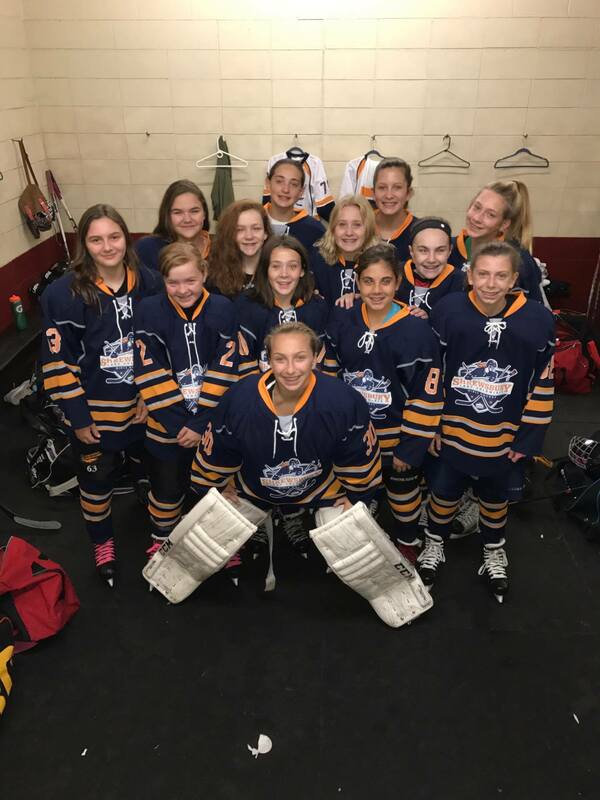 With the goal of bringing a fun, but competitive hockey program for all-girls to the town of Shrewsbury, the Shrewsbury Lady Colonials hockey program was created for the 2017/18 season. The program began with one team at 14U in the the 2017/18 inaugural season. The girls play their games in the Middlesex Yankee Girls Conference, with other all-girls teams across the state, and play 20-25 travel games, with league playoffs wrapping up the season in early April. The first season has been fun and extremely successful thus far. Since this was the first season of play, the team was placed mid-level in the league, but it was quickly recognized that the team was comprised of a very talented group of hockey players. Now competing in the top tier, the girls are playing at the highest level of competitive play for all-girls town programs across the state. The team was recently named MA District 7 champions and with that, got their ticket to head to the Massachusetts State Hockey Tournament the weekend of March 16th where they will have the opportunity to compete for the title of MA State Champions. REGISTER TODAY for the 2018/19 season!!!!!!!!!!! Best of luck in the state TOURNEY!!!!!!!! !